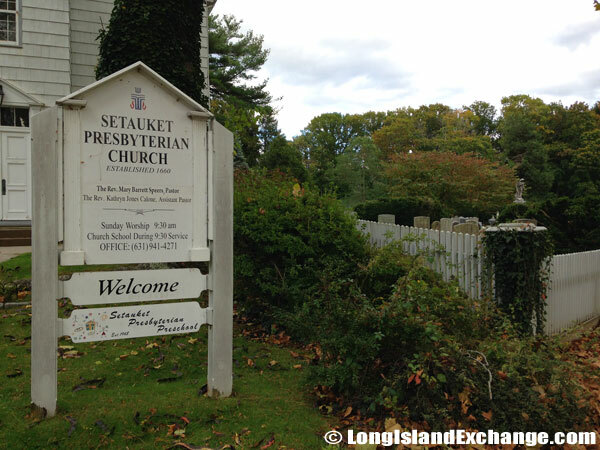 Setauket is a village located in Suffolk County in the Town of Brookhaven, on the North Shore of Long Island, New York. 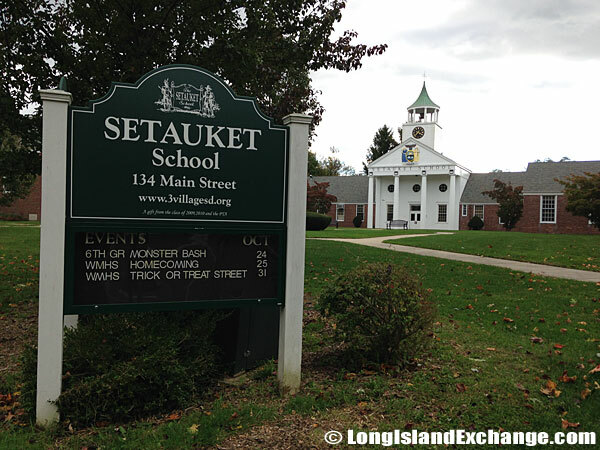 As part of Brookhaven’s Three Village area, Setauket varies considerably as one travels north to south. In Setauket’s Old Field there are wealthy waterfront estates on Long Island Sound many from earlier decades. Among them is the New England style village green with a mill pond and park, a quaint post office, and the Caroline Church which was built in 1729. 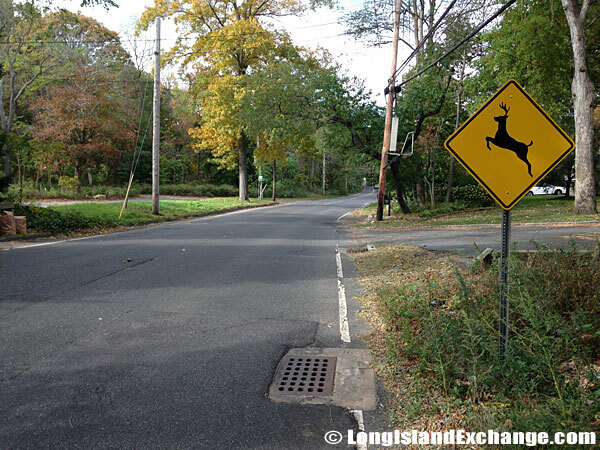 A sign suggests remaining alert for deer-crossing while driving through Setauket. 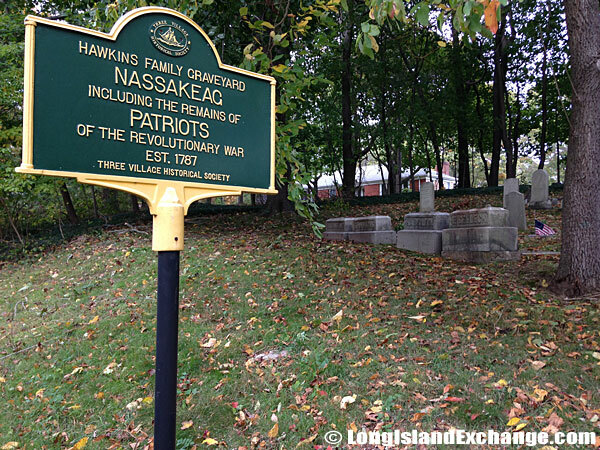 A historical marker sits at the Nassakeage-Hawkins family burial ground. 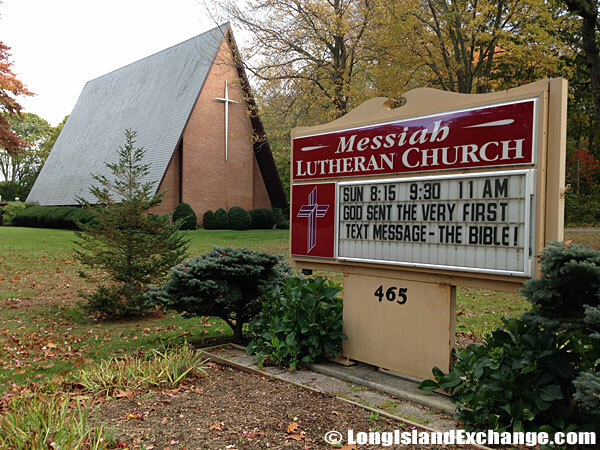 The Messiah Lutheran Church, Setauket-East Setauket. The Emma Clark Memorial Library. As of the 2010 census, there were 15,477 living in Setauket with 5,234 households and 4,004 families. The median family income was $133,479 and for a household $110,724. The median earnings for a male working full-time, year-round was $92,197 and a female just $69,579. The ZIP Code for Setauket is 11733. The latitude of Setauket is 40.935N. The longitude is -73.118W. It is in the Eastern Standard time zone. Elevation is 26 feet. 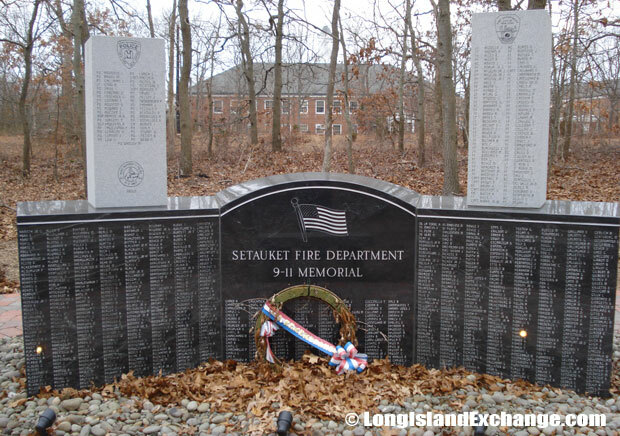 The Setauket Fire Department 9-11 Memorial. 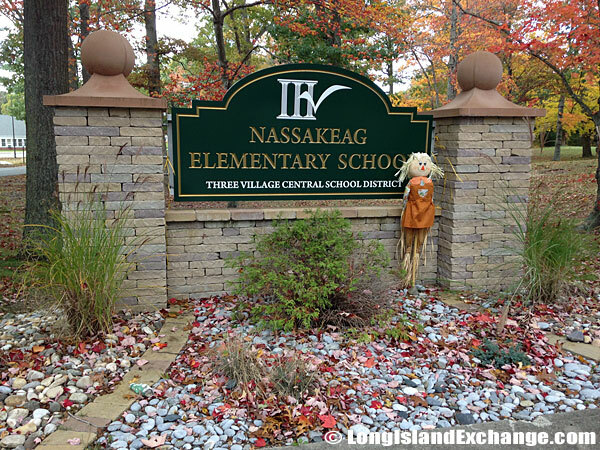 Nassakeag Elementary School, Three Village Central School District. The historic Hawkins Homestead, also known as the Zachariah Hawkins Homestead. 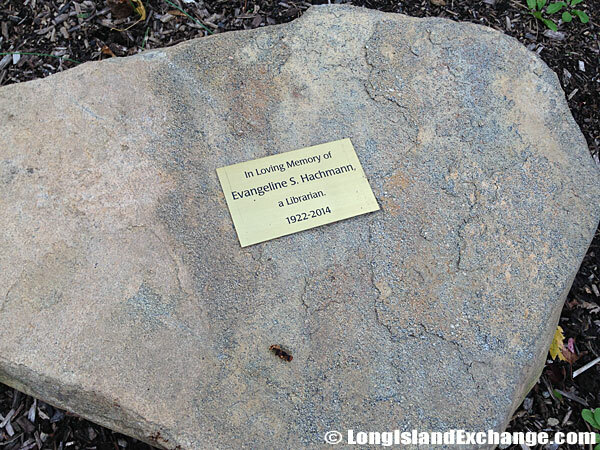 A memorial stone for Evangeline S. Hachmann, of Strongs Neck, Setauket who passed away on January 26, 2014. She received a Master’s degree in Library Science from Queens College, New York. In 1655, the area was first settled by six pioneers who bought land from the Setalcott Indians. No townsman was permitted to sell land to an outsider and no one could move into the settlement with a favorable vote from those already living there. The former and merged names of Setauket include Ashford. During the American Revolutionary War, the Culper Spy Ring headed by Benjamin Tallmadge passed information about British troop movements gathered in New York City to George Washington. The Battle of Setauket was fought here in 1777. 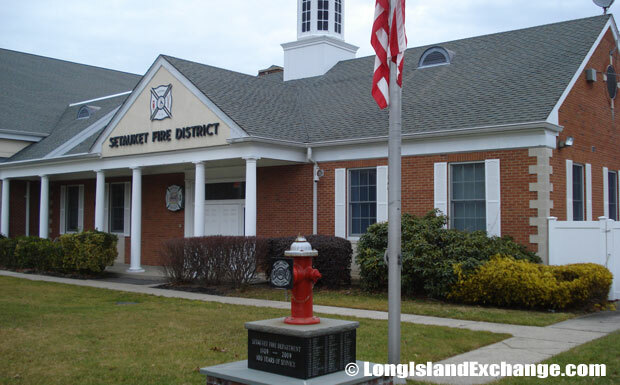 Setauket has also a record of active governance in the affairs of Brookhaven and was its capital for a long time. It was considered as a shipbuilding town in the 19th-century. 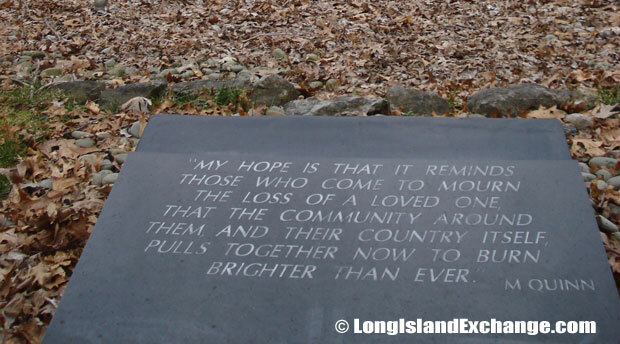 A quote from M, Quinn at the Fire Department’s 9-11 memorial. 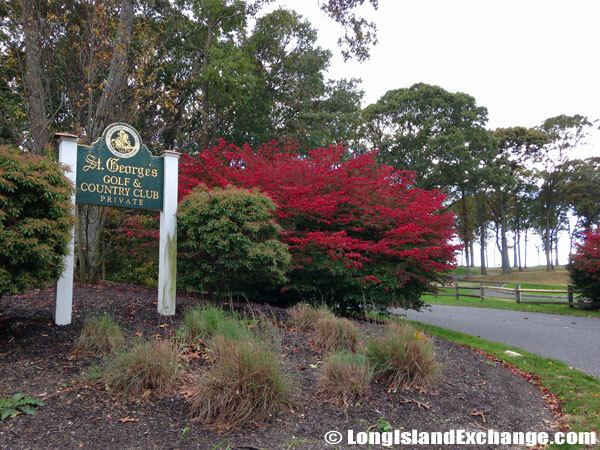 St. George’s Golf and Country Club, an 18 hole golf facility built in 1917 by architect Devereux Emmet. 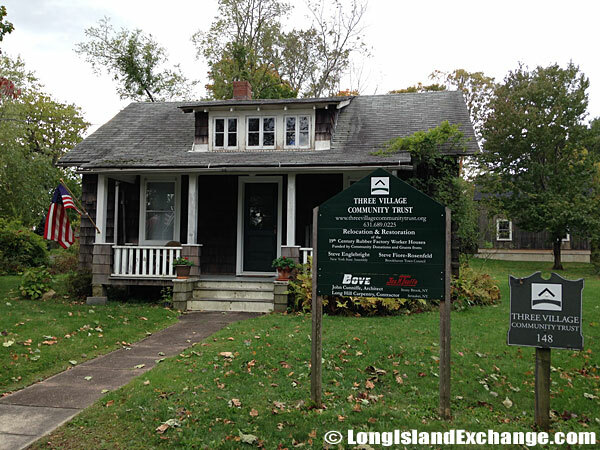 The Three Village Community Trust, a local initiative, and not-for-profit land trust, founded in 2003.
Notable residents living in Setauket include Bud Abbott (comedian), Ray Anderson (jazz musician), Vince Clemente (poet), Mick Foley (professional wrestler), Angel Viloria (merengue musician), Kevin James (actor), and Todd Sauerbrun (NFL punter). The racial-makeup of the village comprises of 87.76% White, 1.27% African American, 0.17% Native American, 8.80% Asian, 0.04% Pacific Islander, 0.61% from other races, and 1.35% from two or more races. The transformation from manufacturing to suburban residence has been engineered through perseverance with building strong foundations for education in the town. 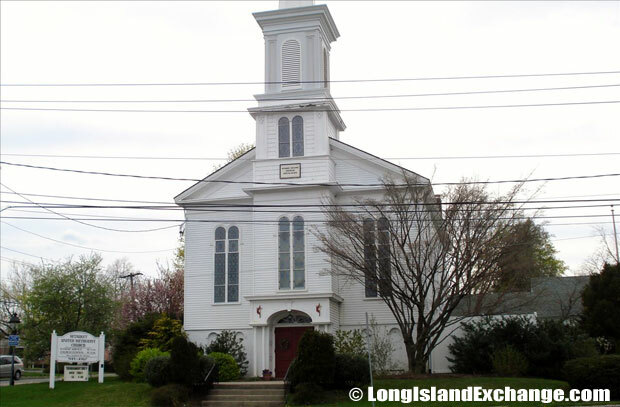 Setauket United Methodist Church, service at 10:00 a.m. on Sundays. All persons are welcome to all services and activities. Setauket Elementary, Three Village Central School District. 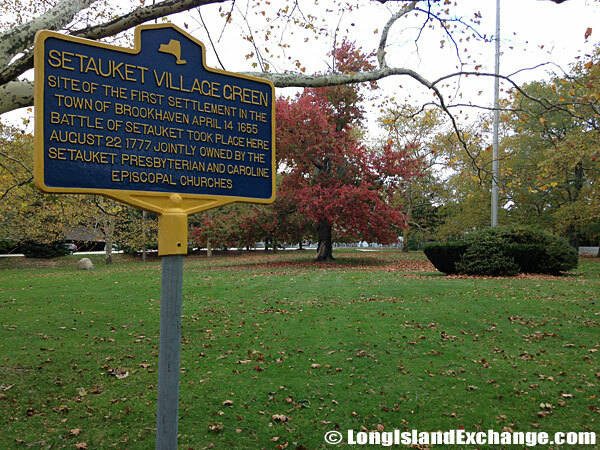 Historical marker at the Setauket Village Green, where the Battle of Setauket took place on August 22, 1977. The Battle of Setauket was a failed attack during the American Revolutionary War on a fortified Loyalist outpost by a force of Continental Army troops from Connecticut under the command of Brigadier General Samuel Holden Parsons. 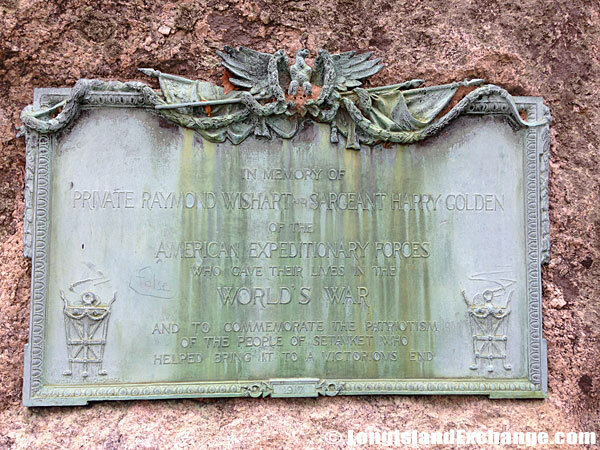 A memorial to Private Raymond Wishart and Sargeant Harry Golden of the American Expeditionary Forces who gave their lives in the World’s War and to commemorate the patriotism of the people of Setauket who helped bring it to a victorious end. 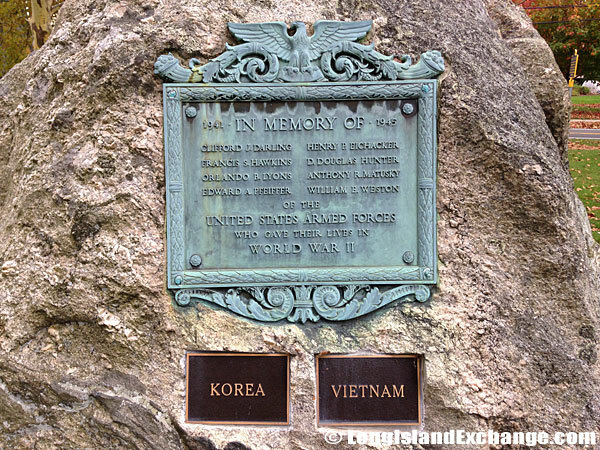 In memory of troops in the United States Armed Forces who gave their lives in World War II. The Three Village Central School District serves the Setauket community. 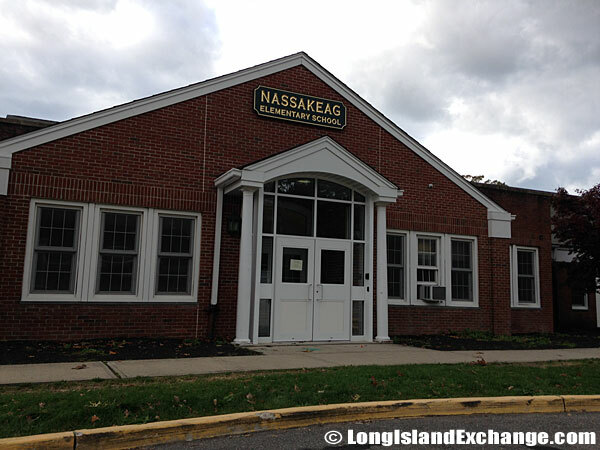 The Arrowhead and Nassakeag Elementary Schools and the Paul J. Gelinas Junior High School provide quality educational facilities in the area. 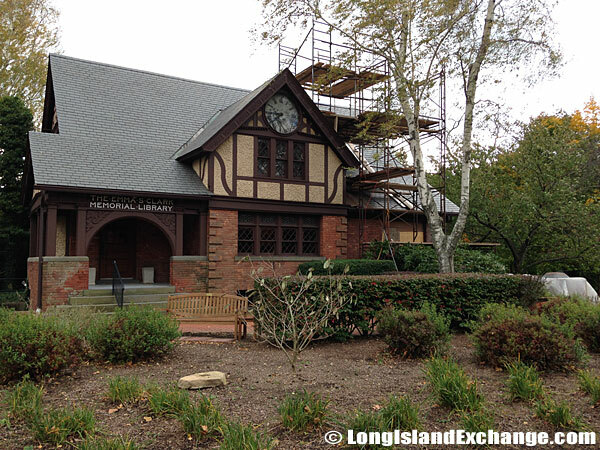 The Emma S. Clark Memorial Library is a significant institution in Setauket. It is named after a relative of Thomas Hodgkins, a generous philanthropist from the town. 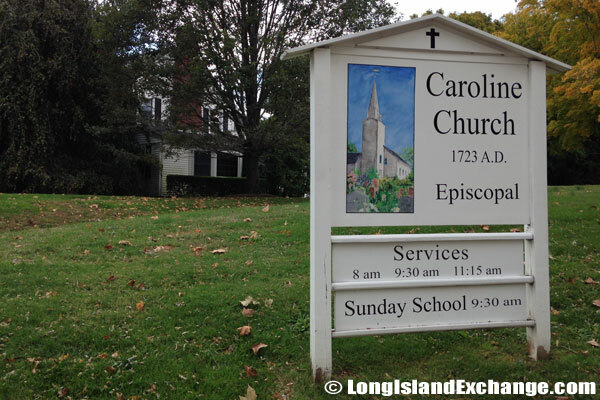 It has served the Setauket people since 1891. It has had a strong Internet presence for about the last decade and has built an inventory of over 200 thousand materials. 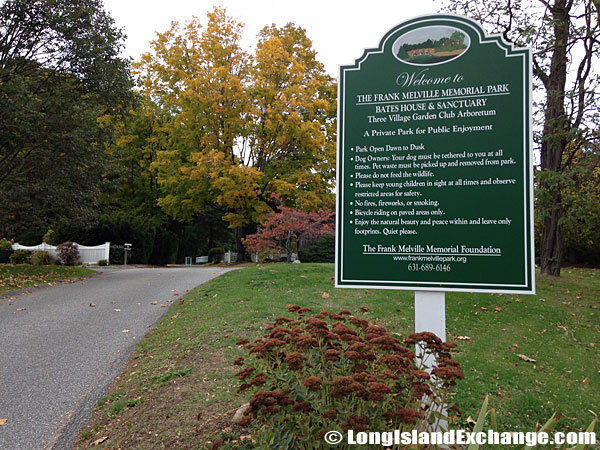 A sign welcomes visitors to the Frank Melville Memorial Park, Bates House and Sanctuary. The Caroline Episcopal Church, established in 1723. 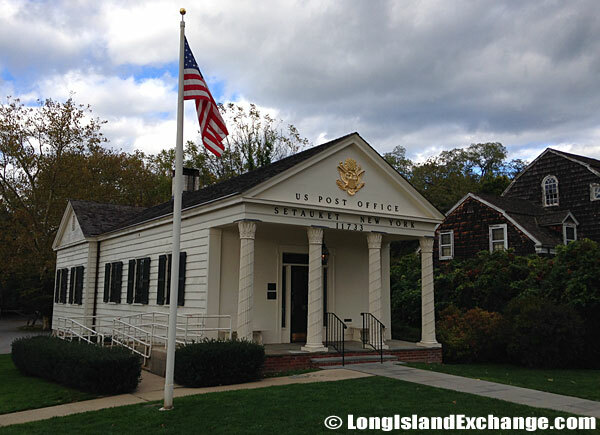 The United States Post Office for Setauket New York, 11733. 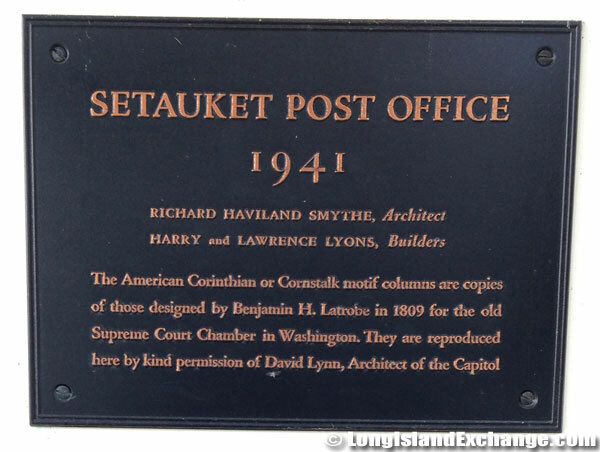 The Post Office building was created in 1941 by Architect Richard Haviland Smythe and Builders Harry and Lawrence Lyons. 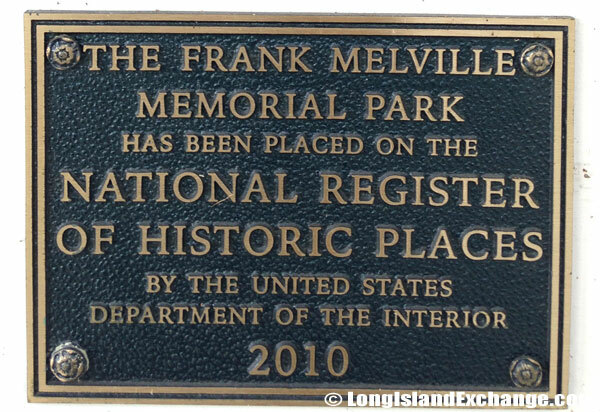 A plaque notating that the Frank Melville Memorial Park has been placed on the National Register of Historic Places by the United States Department of the Interior in 2010. This sign or plaque is affixed to the Post Office Building at the entrance of the park. 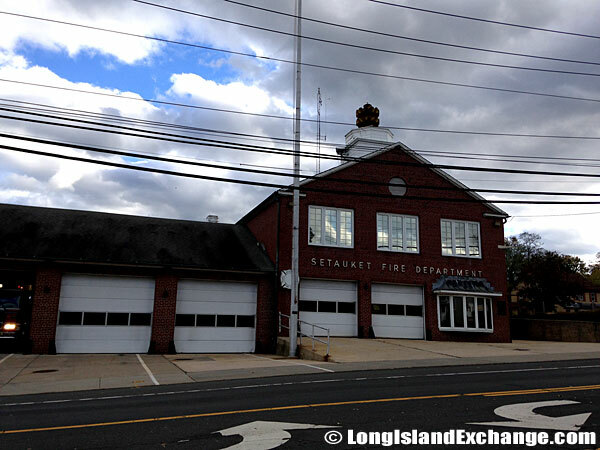 There are three major roads in Setauket including Route 25A, Route 347 and Sheep Pasture Road. The Sheep Pasture Road is split among Upper and Lower Sheep Pasture Roads for a short stretch between Gnarled Hollow Road and Pond Path. Almost all of the commercial establishments in Setauket are concentrated in these areas. 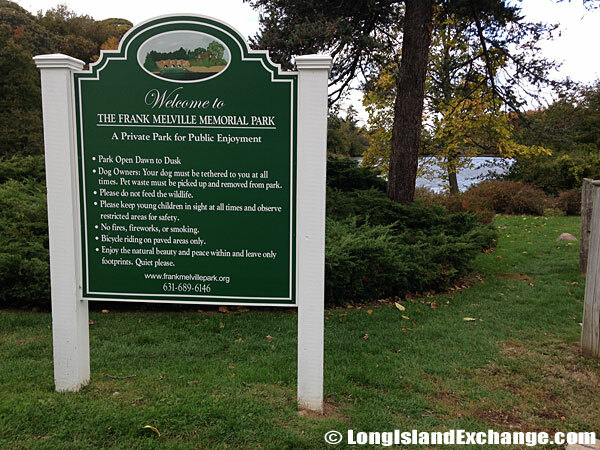 A sign welcomes visitors to the Frank Melville Memorial Park, a private park for public enjoyment. 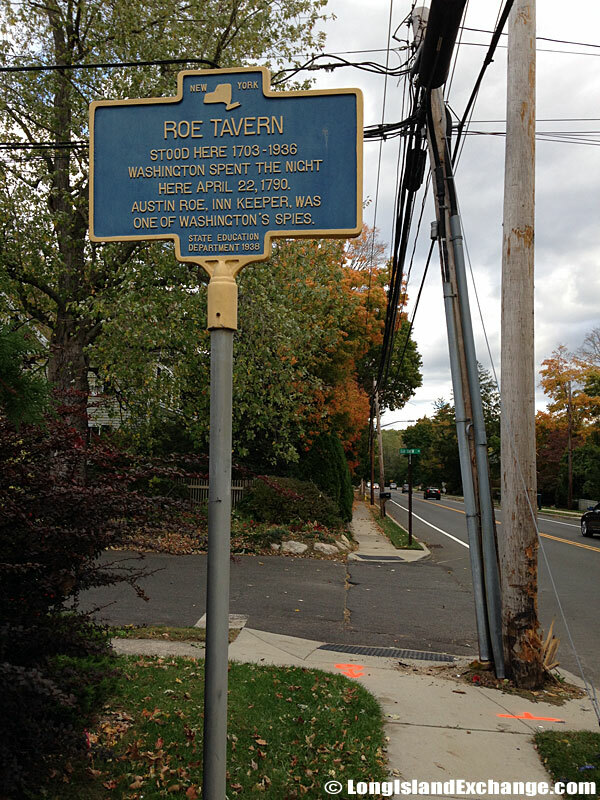 A historical marker stands here at the corner where Roe Tavern stood from 1703 till 1936. 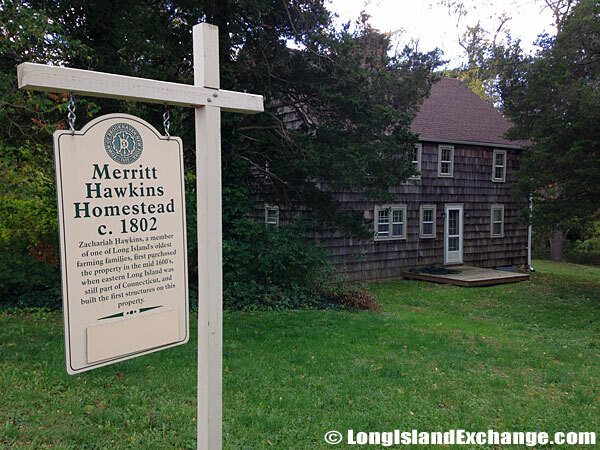 George Washington spent the night here on April 22, 1790 while touring Long Island to thank the Long Island Spies after the Revolutionary War. Washington had a secret spy ring on Long Island called The Culper Spy Ring.